Can you hate and love someone at the same time? When someone says “I hate loving him/her.”, it sounds oxymoronic. But for some people, this feeling is real. They can hate the people they love. Vidhi is asking the exact question sipping the morning tea that her mother served. She is visiting her parents after a long time. They have been complaining a lot lately that she does not visit them often. This time also she wouldn’t have come over if it was not her sister who created a scene in a gathering of common friends. She always does that. She is like their mother who knows how to make other people bend as per her wishes. And they always succeed. Their mother has always been particularly proud of the lemon tea she makes. “you used to love the lemon tea I make. You remember Vidhi? You survived your board exams with this. But now you have changed. You don’t like anything I make.”, complains Vidhi’s mother. “We all have changed Ma. 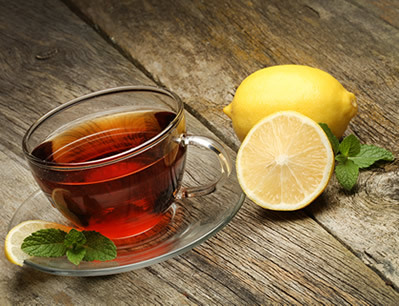 And yes, I don’t like lemon tea anymore.” is Vidhi’s calm and plain reply. “It would be good for your memory; I have read in the papers that it reduces the chance of neurodegenerative diseases.” argues her mother. Vidhi gets little annoyed with this neurodegenerative disease argument but she just looks straight into her mother’s eyes and finishes rest of the tea. In her heart, Vidhi finds her mother’s argument immensely amusing. She is not scared of forgetting things when she ages. What frightens the core of her heart is that she will remember everything and that’s the curse. She will retain every bit of her life and that is going to be painful. She will remember that she has always been given the illusion of choices where the decisions were already made. But what wrenches her heart the most is that the choices are presented in a manipulative manner so that she chooses exactly what people guess she will. She will always feel the anger that she has a life where no one tries considering the things she desires. Not even her parents! Vidhi is her mother’s project which she has always been quite boastful of among relatives and friends. Vidhi hates the word project because she is the perfect outcome of her mother’s many such projects. If people would have known her well then Vidhi would never have shifted to Delhi. The most practical thing to do at that point in time was to uproot her life and shift to the place she never liked. At least that is what everyone decided including her husband and parents. She has been living someone else’s perfect life for so long that she does not know what actually is perfect for her anymore. People simply assume that they can decide for her and their decisions will work in Vidhi’s interest. She craves for imperfections now. She wishes that she has had an imperfect life which she would have made perfect all by herself. But the perfections of her life are so immaculate that even her therapist has not been able to see through it. Vidhi is just waiting to see how much time her therapist, who is her mother’s college friend and supposedly the best, will take to get to the cracks of the smooth looking china-like life she has been living.